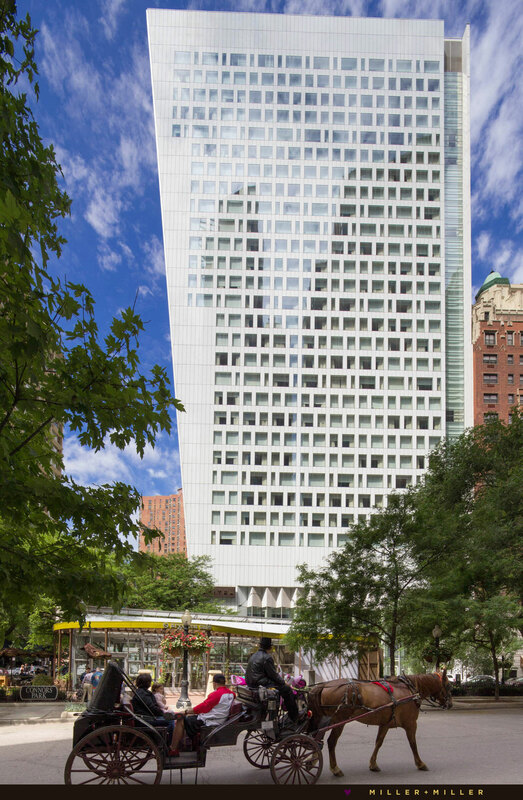 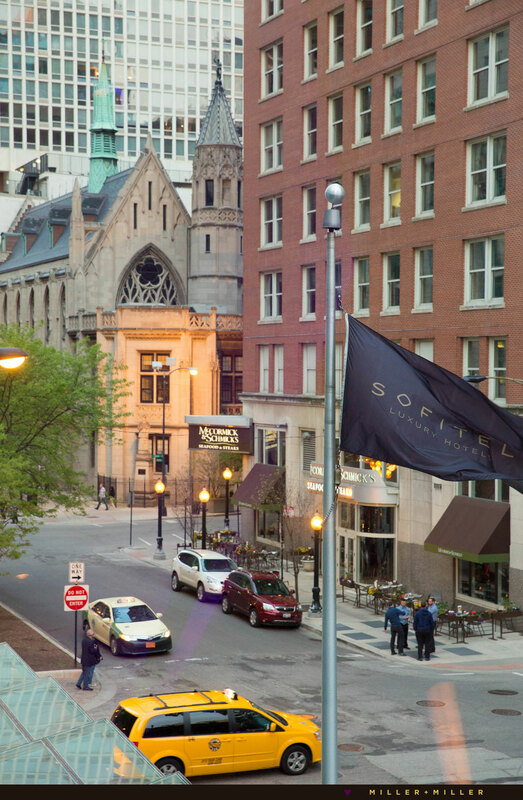 Sofitel Chicago Magnificent Mile Hotel Water Tower is a modern hotel and a perfect option for the couple searching for a contemporary downtown Chicago wedding venue. 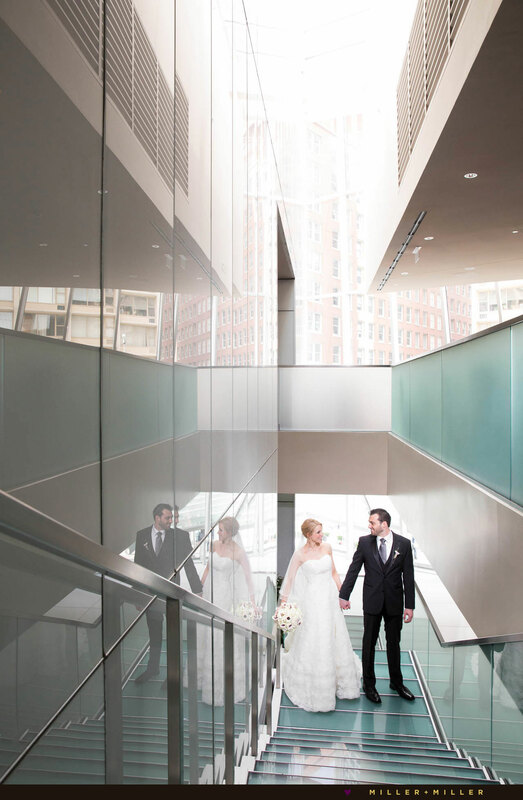 We love the abundance of glass throughout the spacious modern Chicago hotel, making nearly each and every room naturally bright. 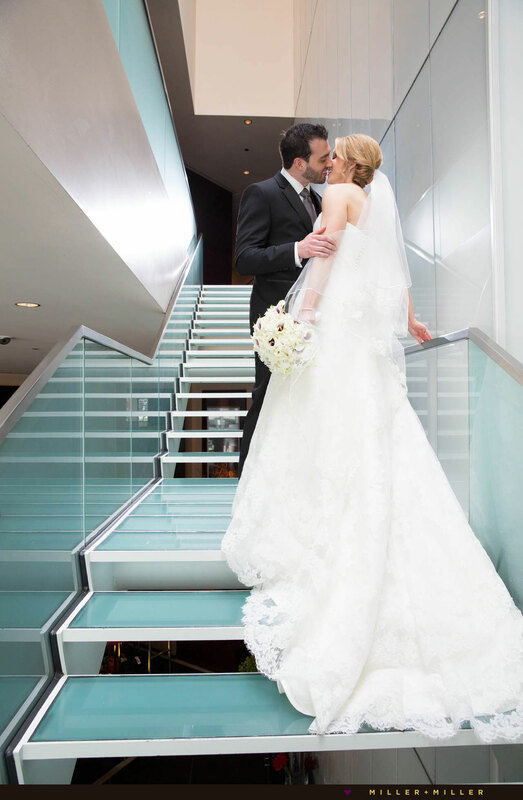 The Sofitel’s spacious grand foyer offers an open and airy ambiance, with an abundance of natural light, stylish aqua blue glass stairs, double staircase, and architectural clean lines. 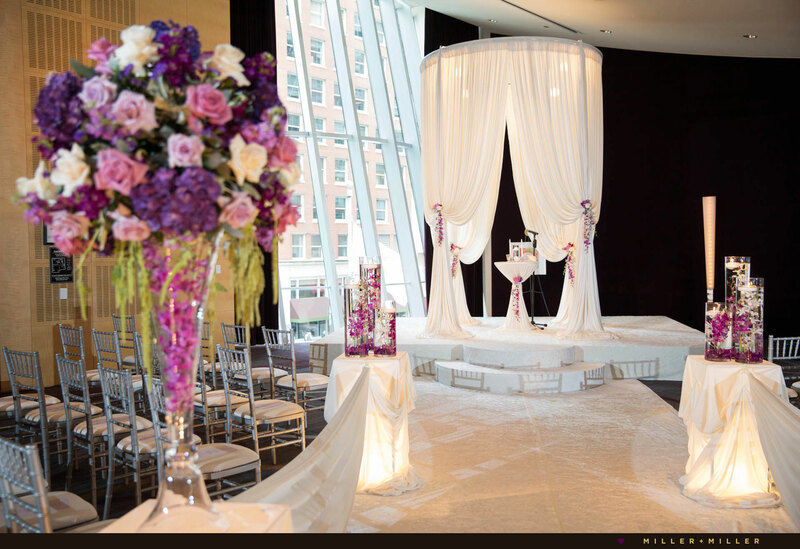 Stylish weddings in the Grand Ballroom of the Sofitel are easy with its beautiful architecture and plush interior design, making for a perfect foundation to start from allowing decisions for complementing floral and decor elements made easy. 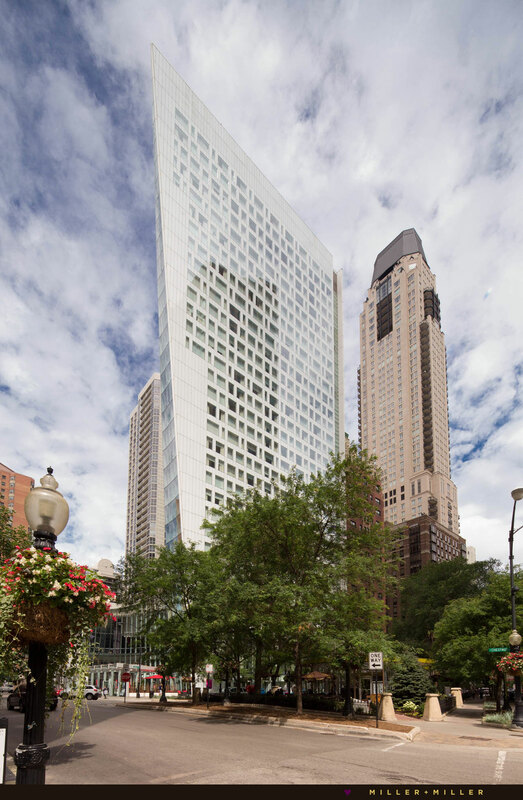 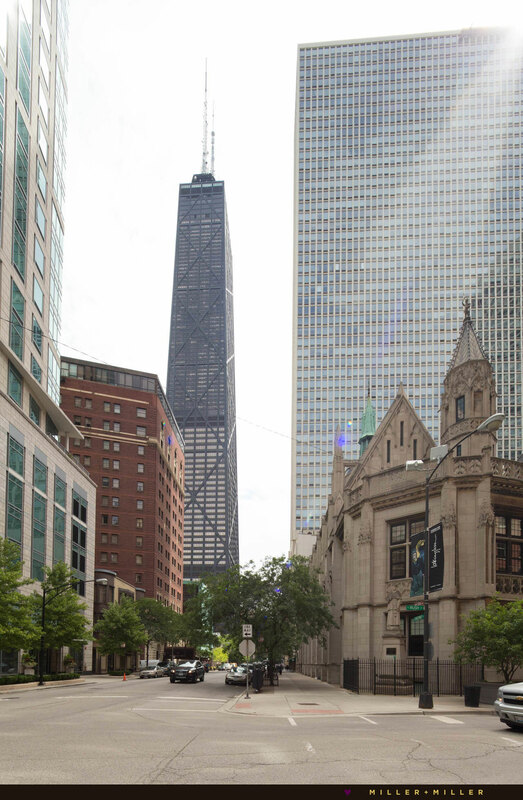 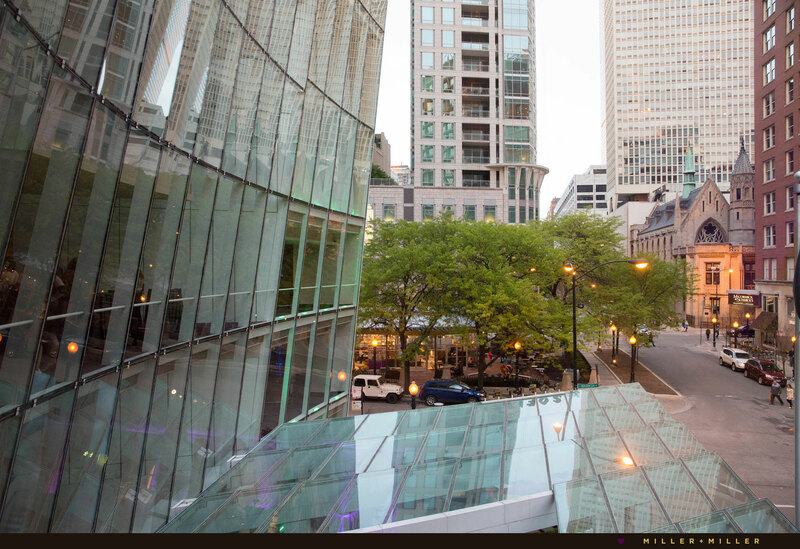 Complimentary to the ideal modern look is its fabulous downtown Chicago Gold Coast location at Rush and Chestnut which is convenient for guests spending the weekend in Chicago and convenient for picture locations away from the hotel. 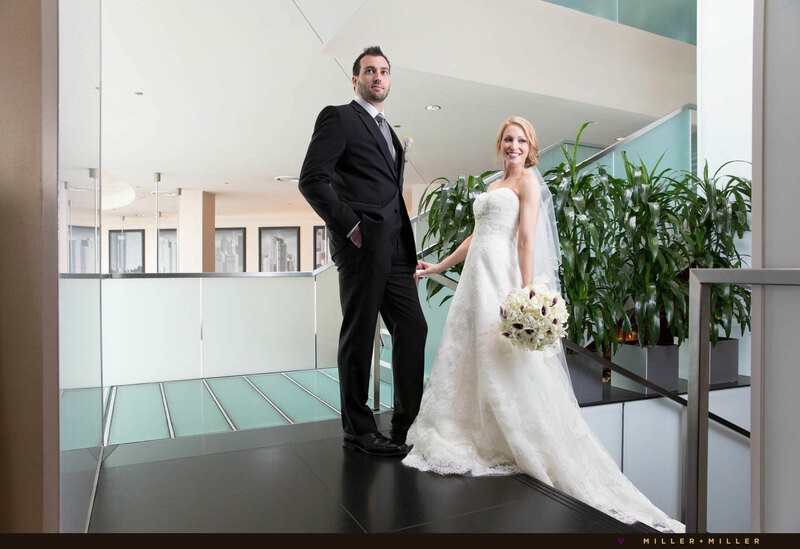 Miller + Miller has photographed numerous couples and wedding photos inside the Sofitel. 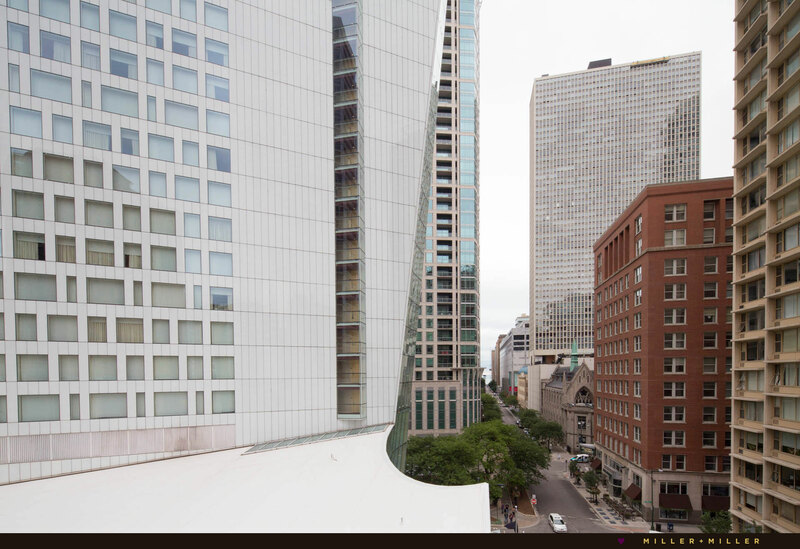 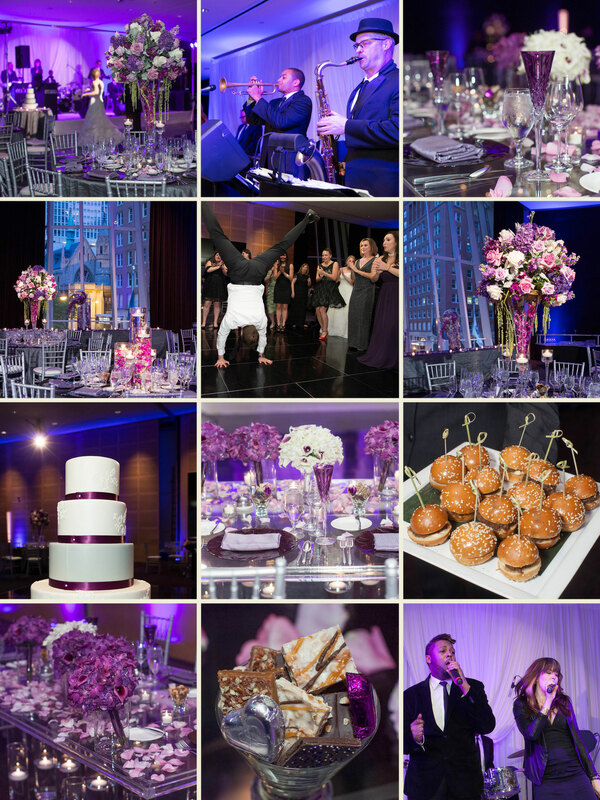 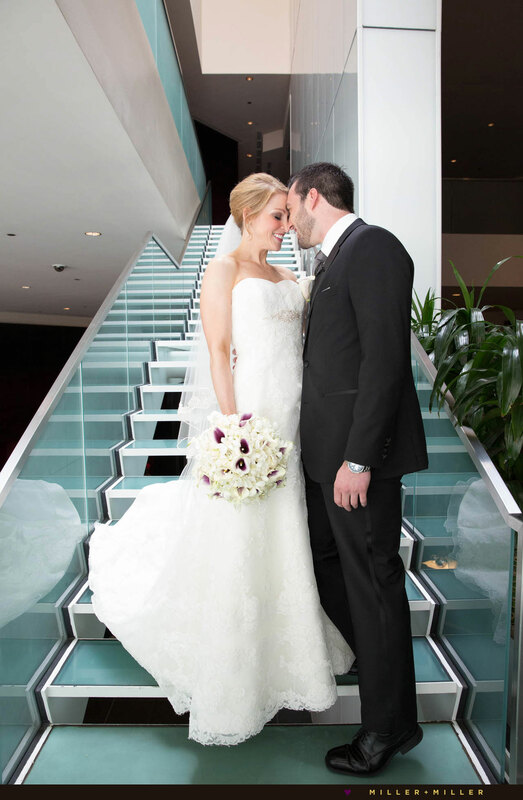 ♥ Below is a collection of photographs highlighting those visits and wedding photography at the modern Sofitel Chicago Magnificent Mile hotel. 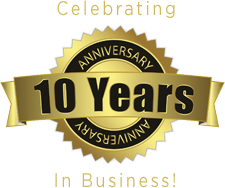 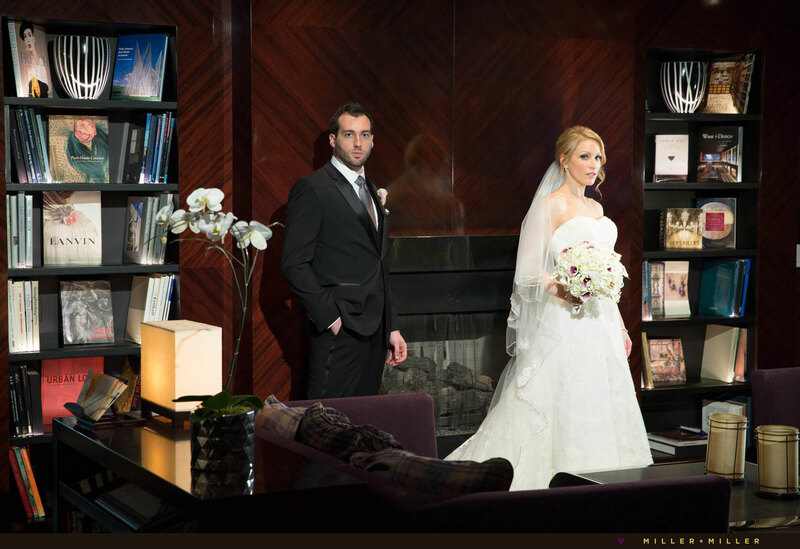 As Chicago wedding photographers photographing weddings for 10 years, we have been inside a majority of the hotels in downtown Chicago. 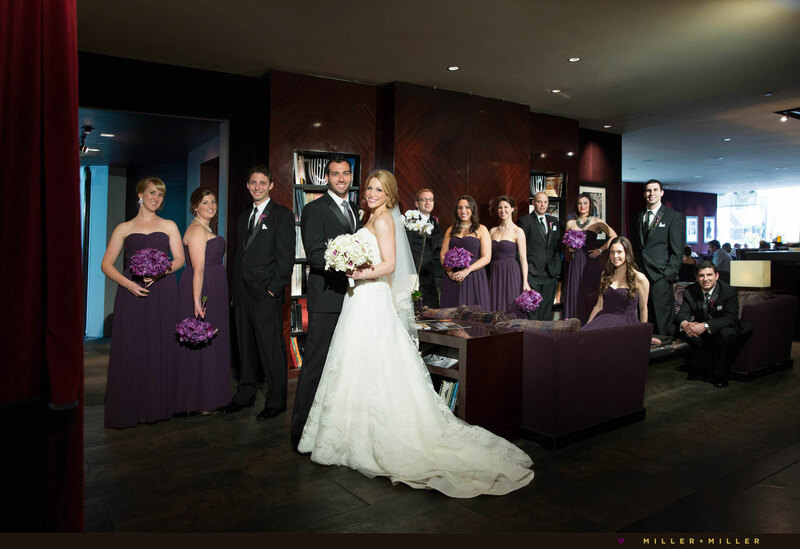 When asked to recommend a modern hotel wedding venue, we love recommending the Sofitel. 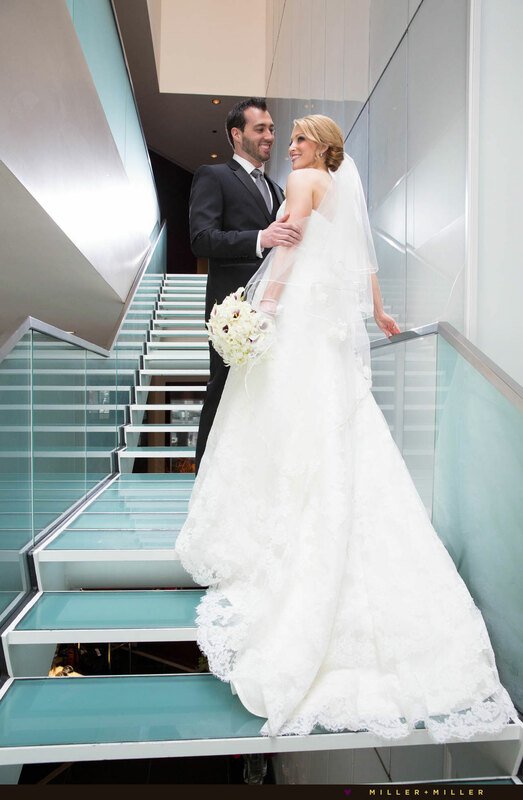 It is an excellent choice whether for getting ready photos only, or when choosing the Sofitel to host your entire wedding day. 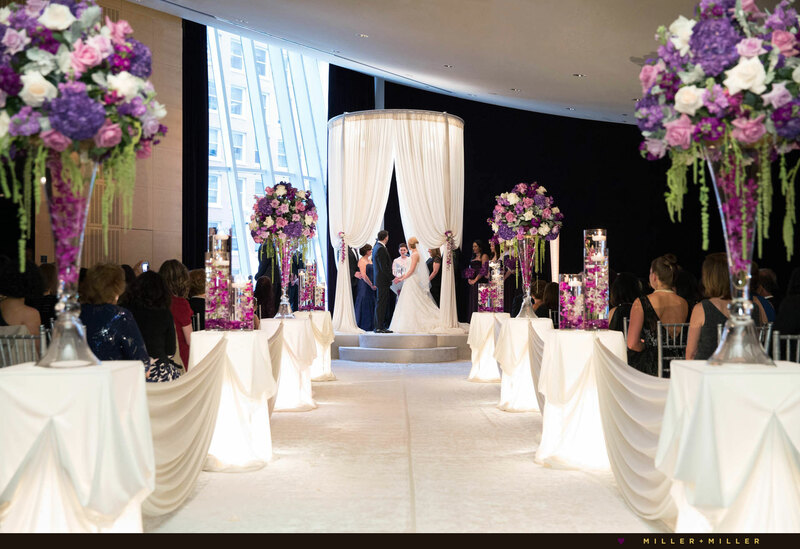 We always advise a bride + groom to carefully select your wedding day venues and choose a hotel suite you love from the setting, room space, the vibe, colors and room interior design style which best matches your wedding day theme. 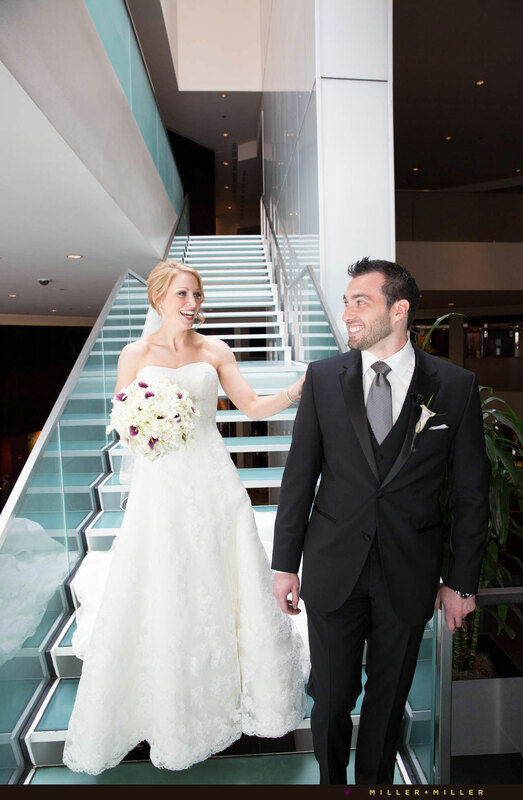 After all, the locations you choose for photos provide the background for your wedding day photography. 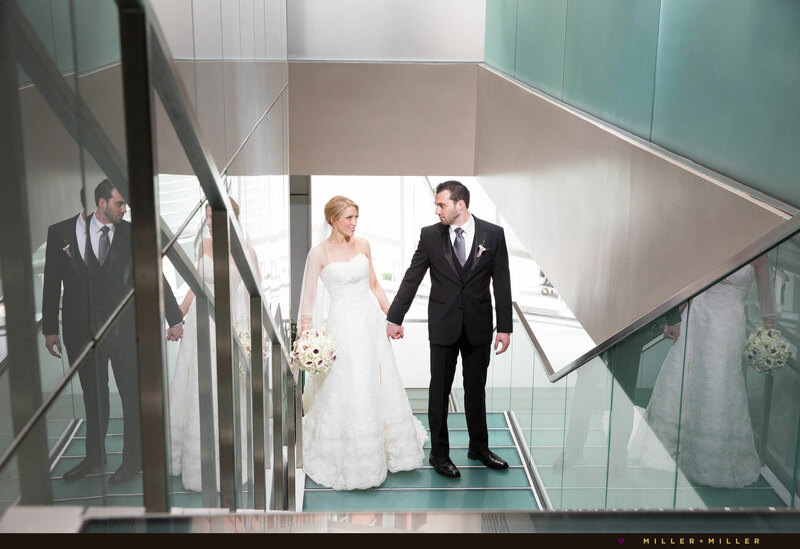 We are Chicago photographers who especially love dedicating time for bride and groom in magazine and fashion styled photographs indoors if the venue allows for it – capturing dramatic and unique to the couple photos at their wedding venue. 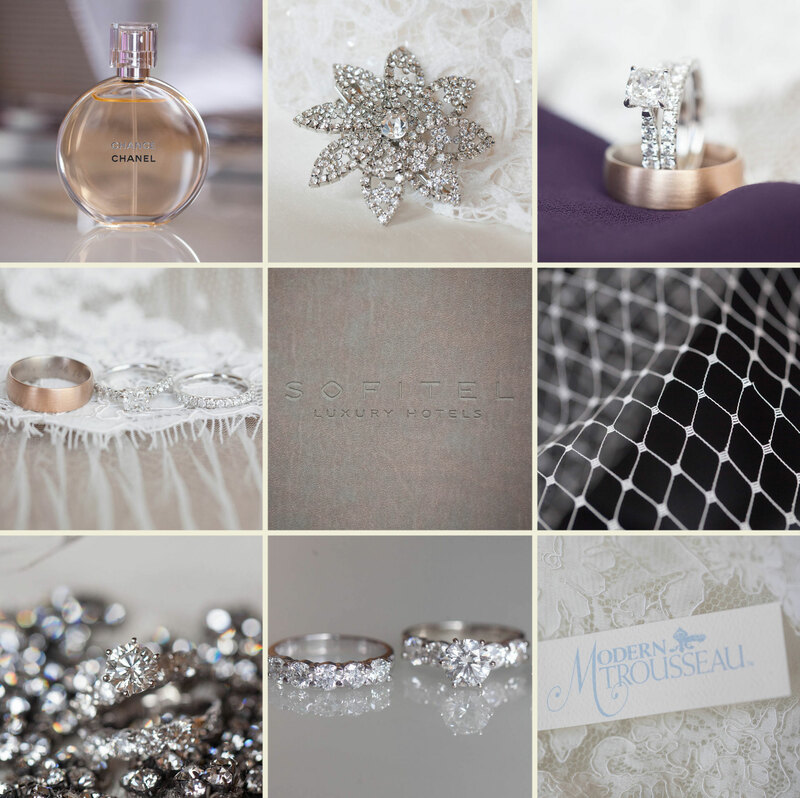 For Charlie + Dawn’s day, all of the wedding events took place at the Sofitel. 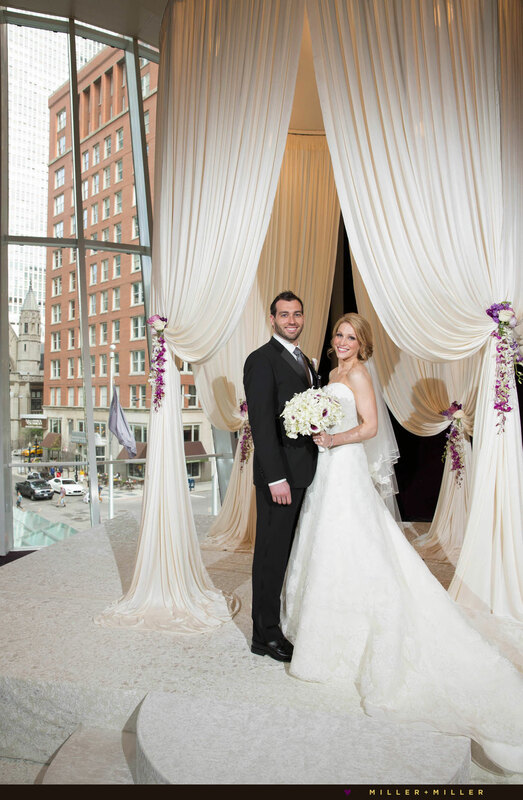 When the hot & humid Chicago May wedding day arrived, Dawn decided to simplify her plans and complete all the photos inside of the Sofitel. 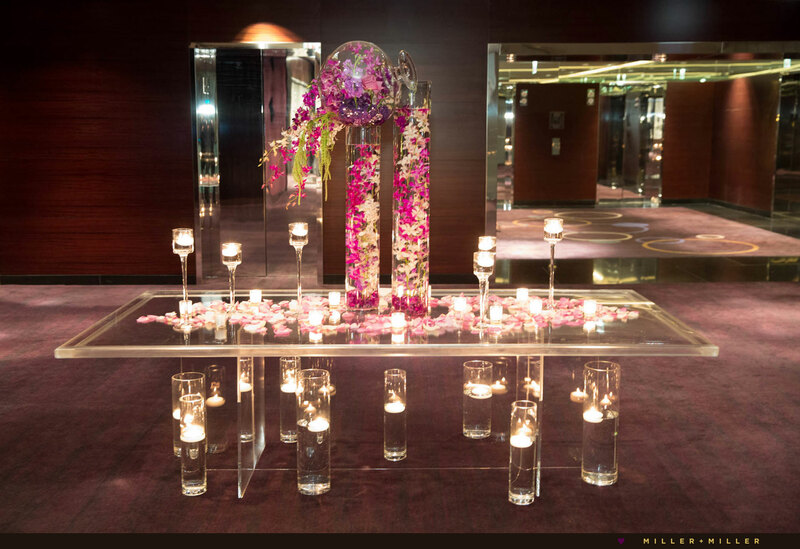 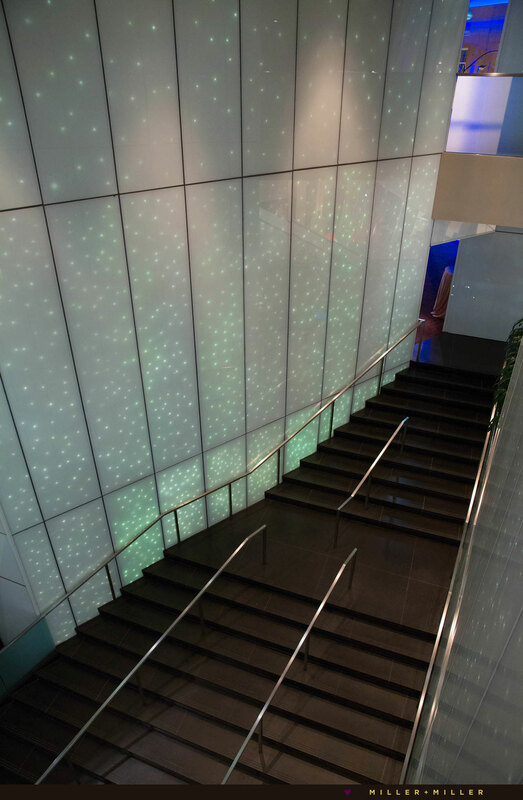 After checking with the hotel ensuring her photography was allowed, she decided the Sofitel has so many great modern spaces from the grand ballroom, glass staircase, and the modern lobby, to options in the Le bar and hotel restaurant lounges. 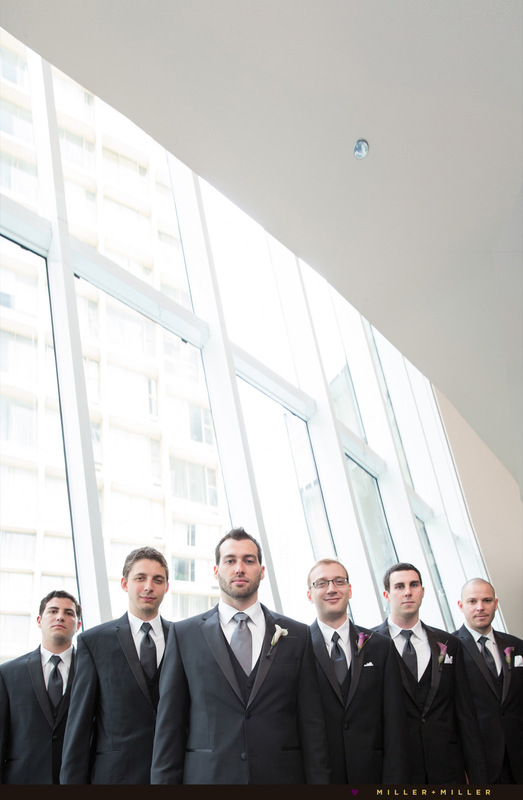 Ultimately, the four of us loved the idea of capturing all the day’s photos within the one building. 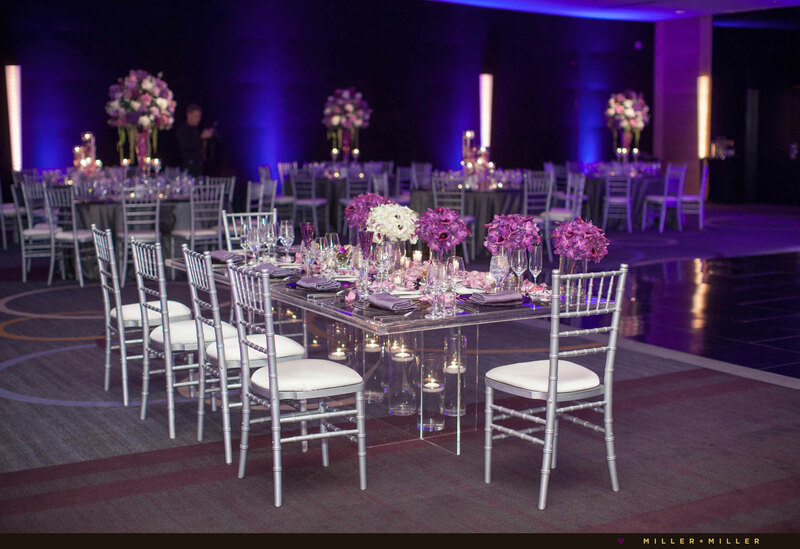 The Sofitel Hotel’s Grand Ballroom is a dynamic event space that can be transformed from a an elegant ceremony setting into a modern evening reception room. 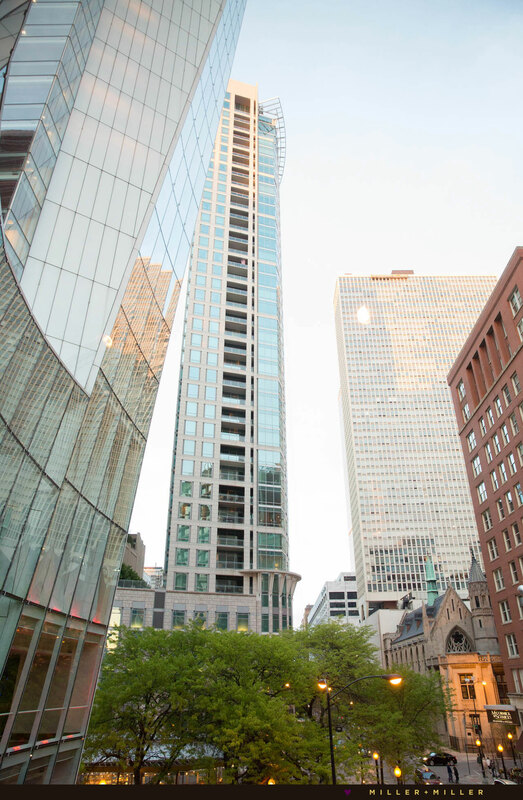 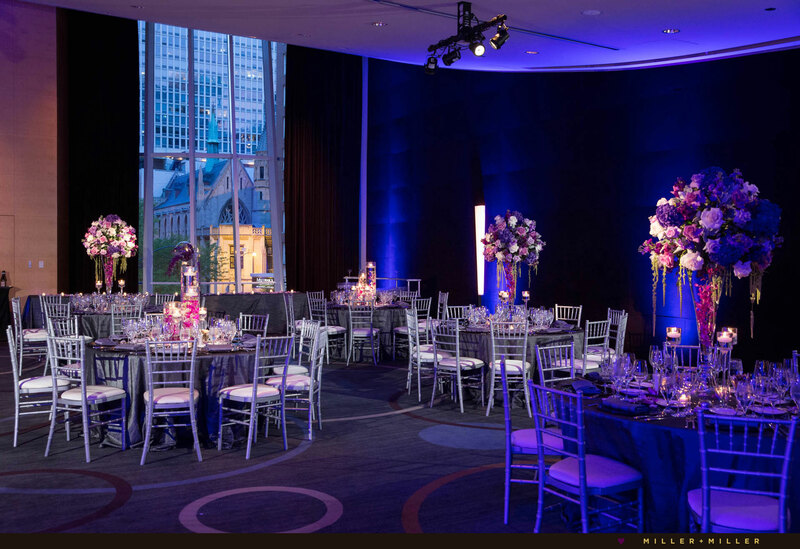 The ballroom features a sloped ceiling with floor-to ceiling windows and the tall, gently curving windows offer views of the Water Tower Place, the John Hancock Building and surrounding Gold Coast Historic District downtown Chicago neighborhood. 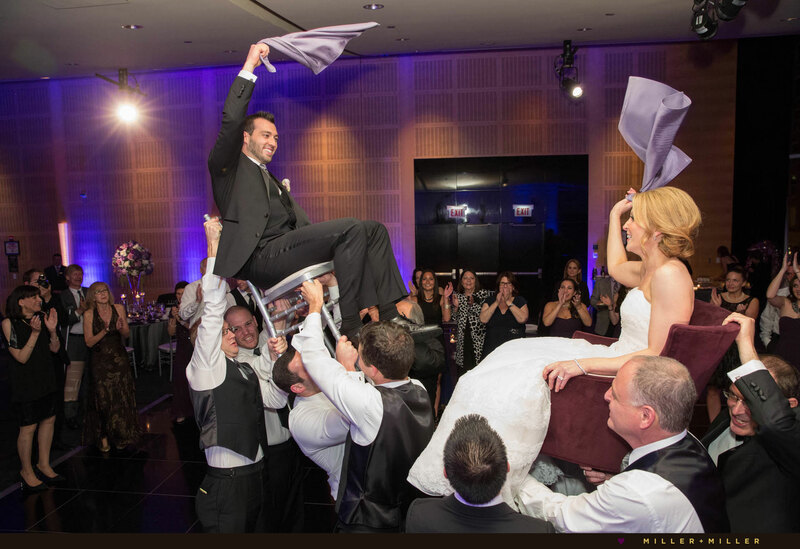 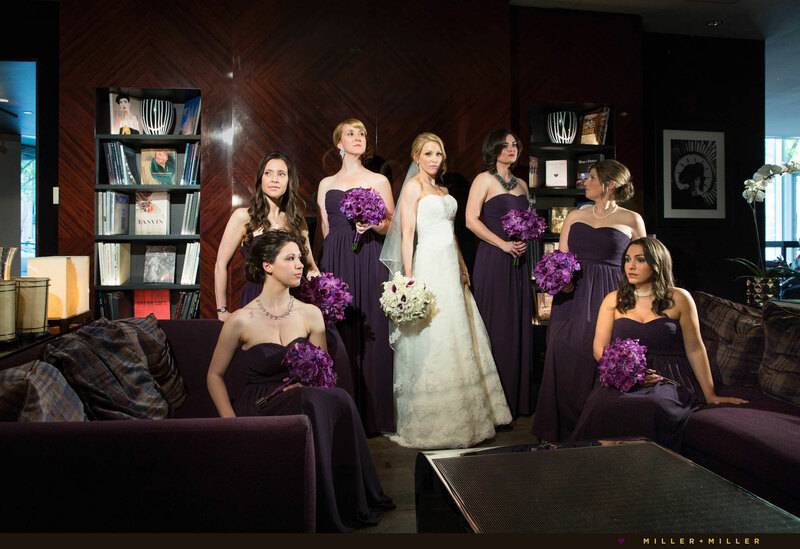 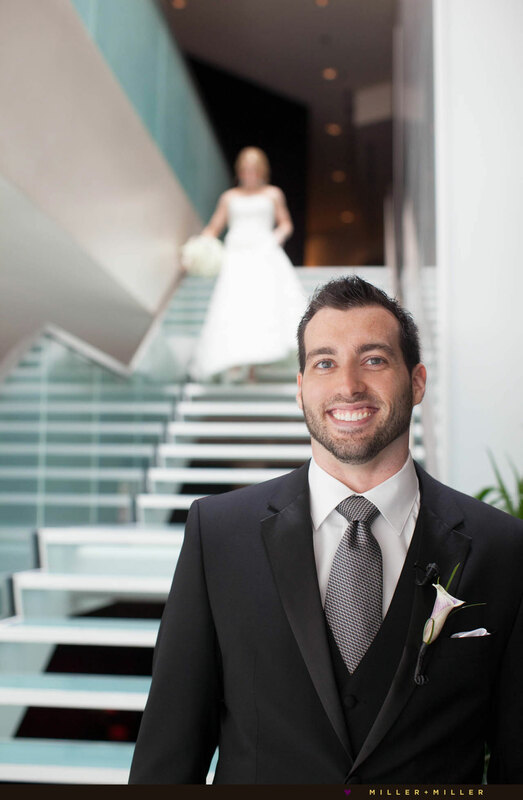 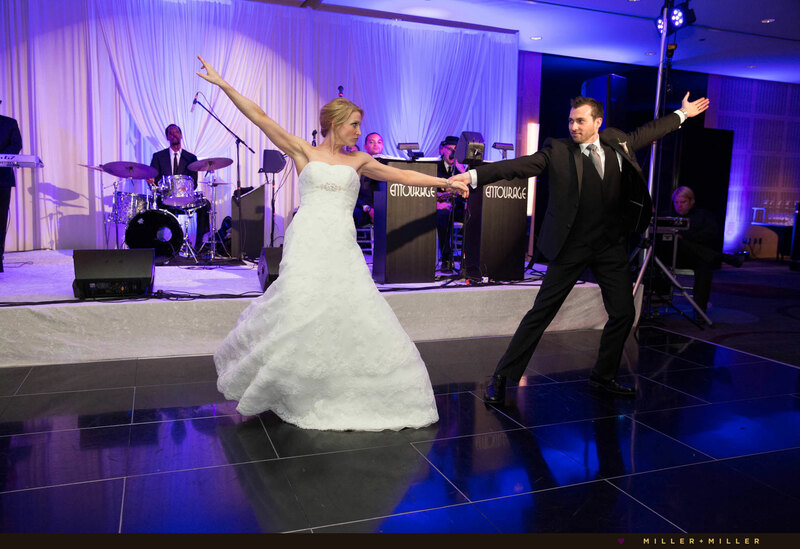 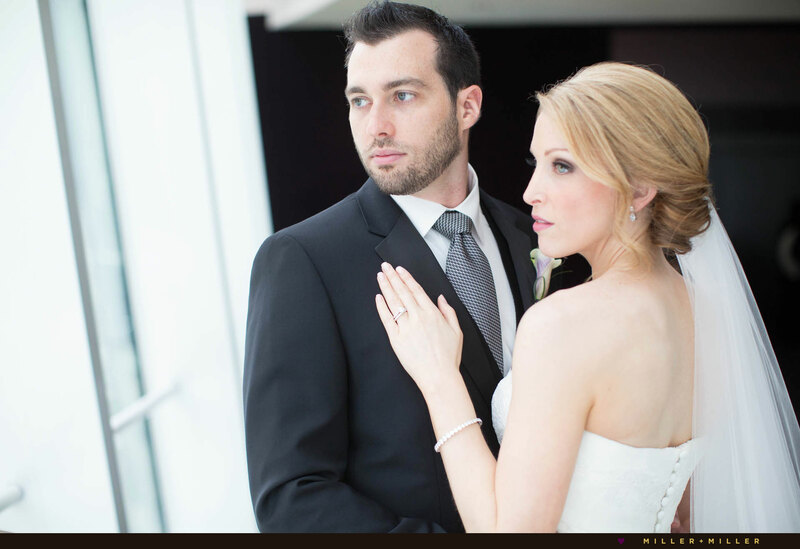 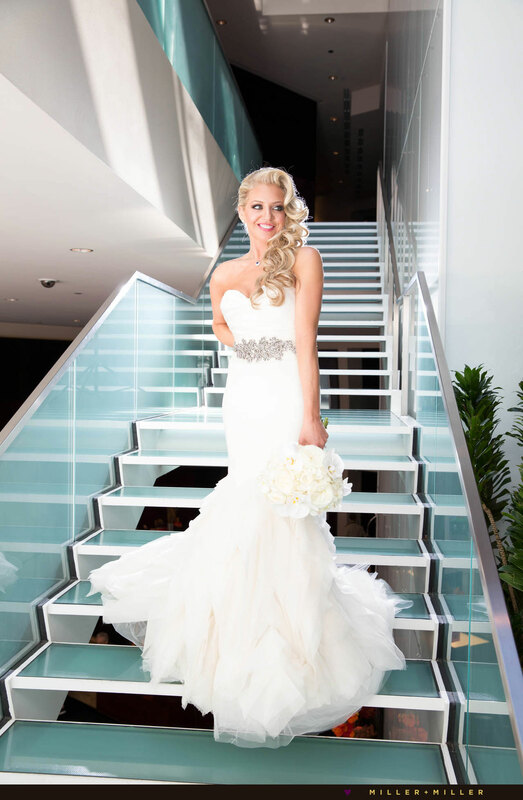 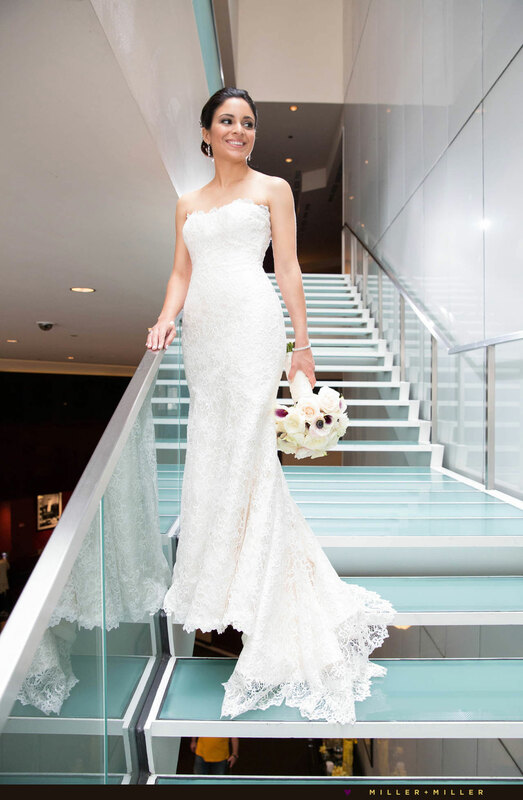 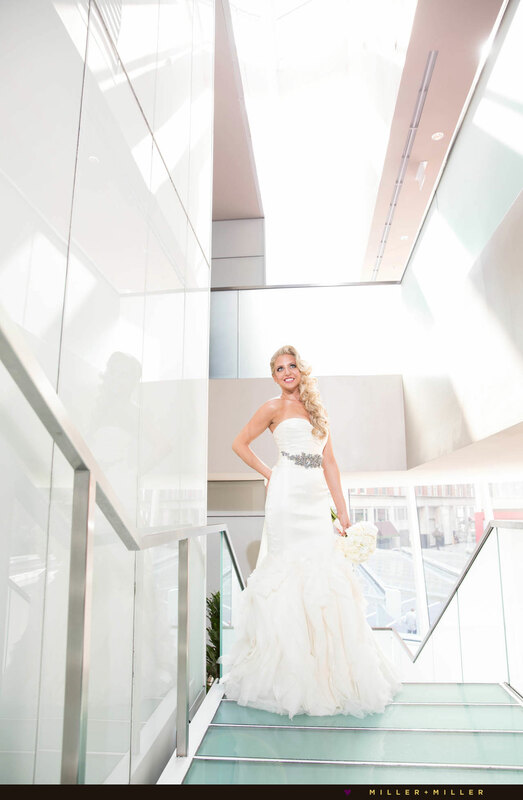 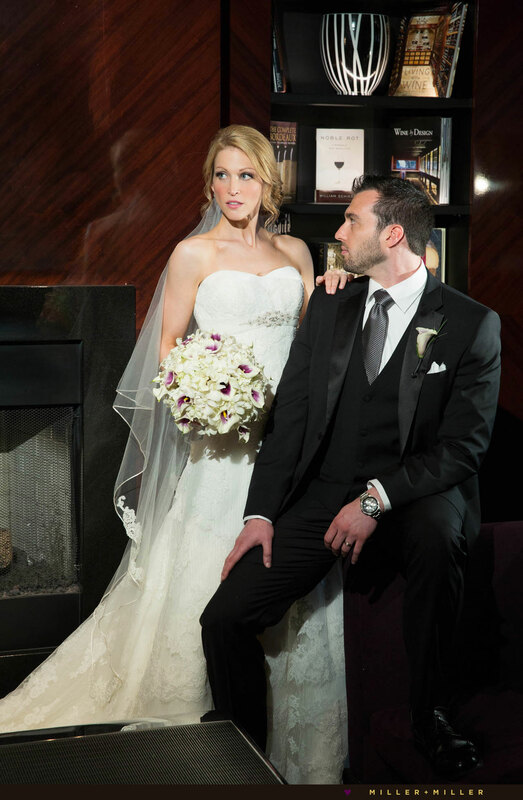 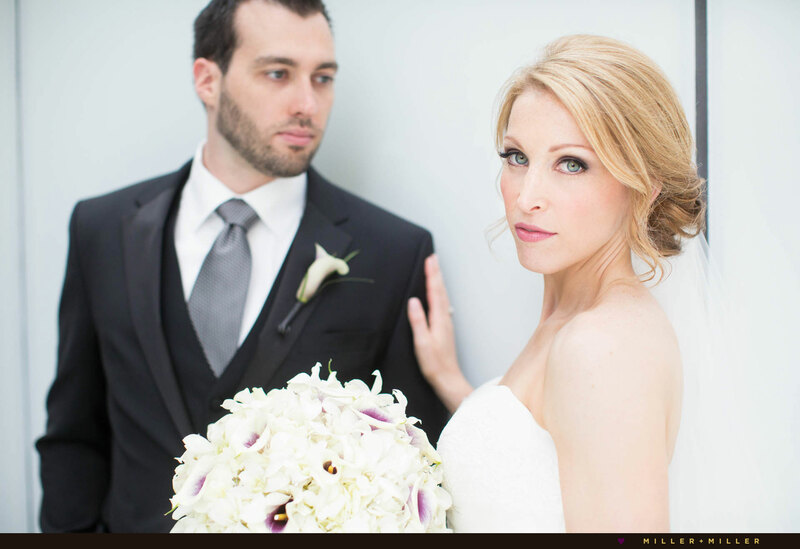 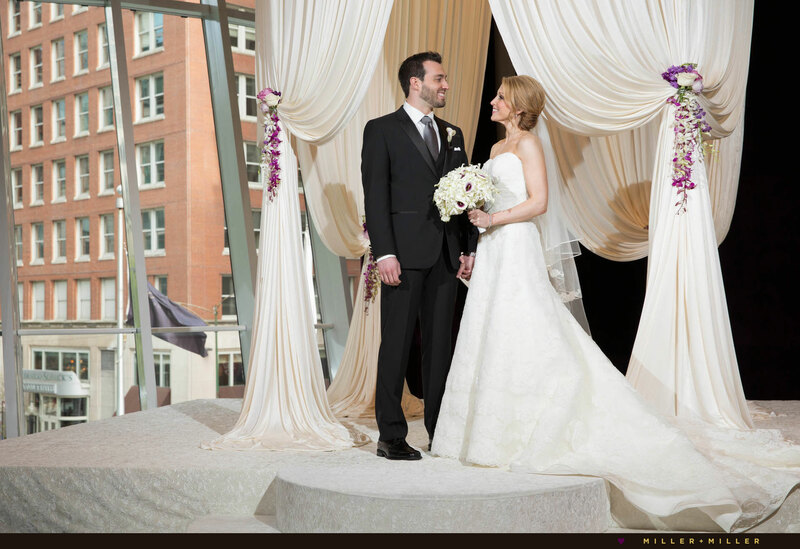 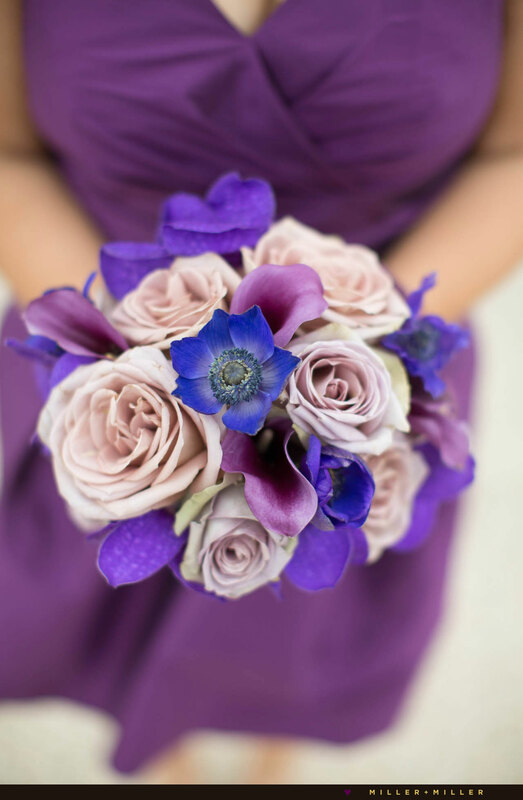 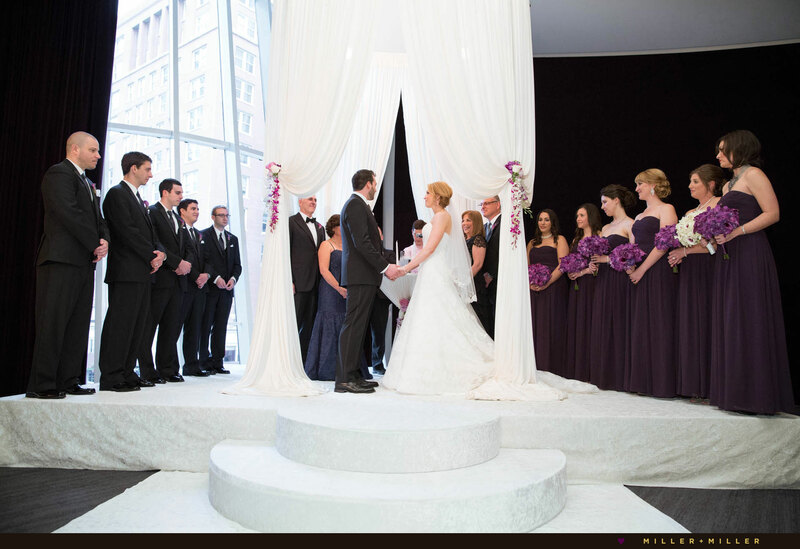 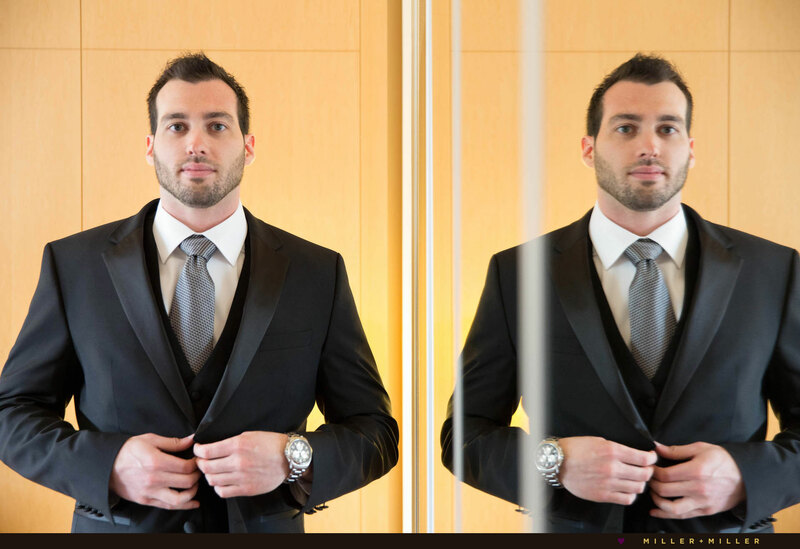 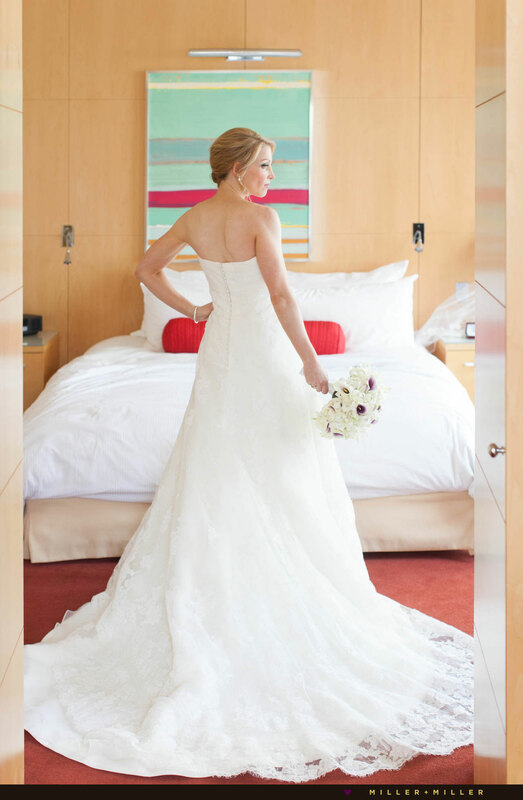 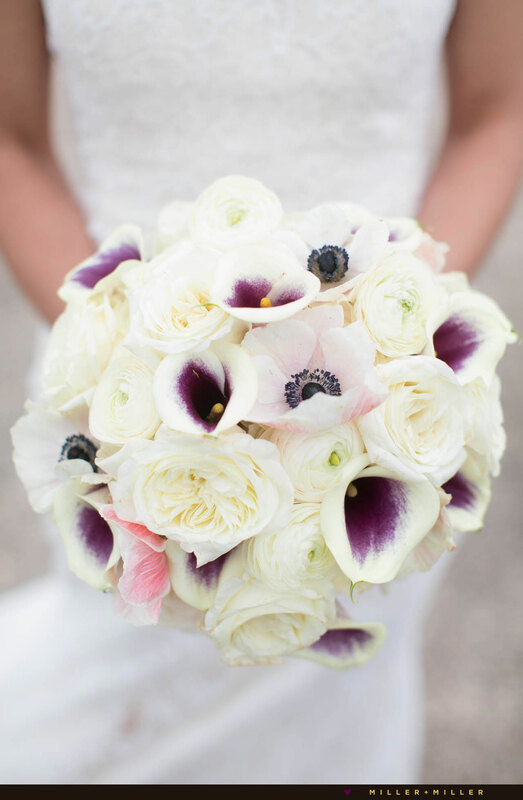 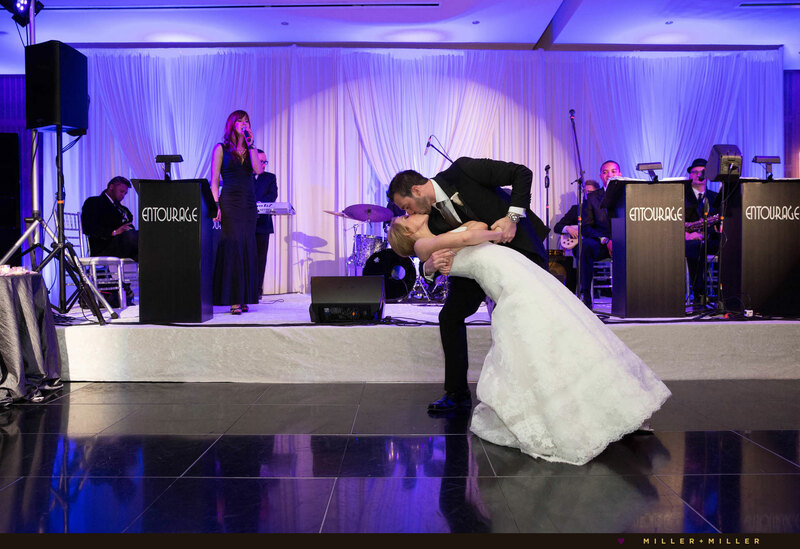 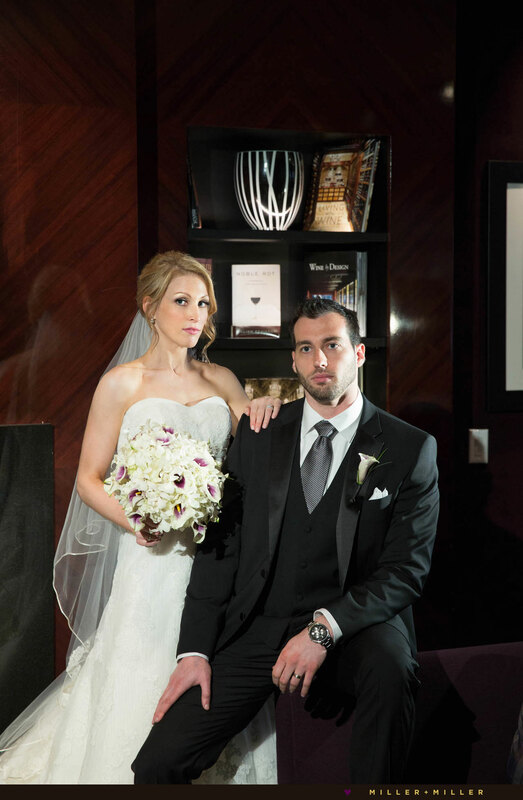 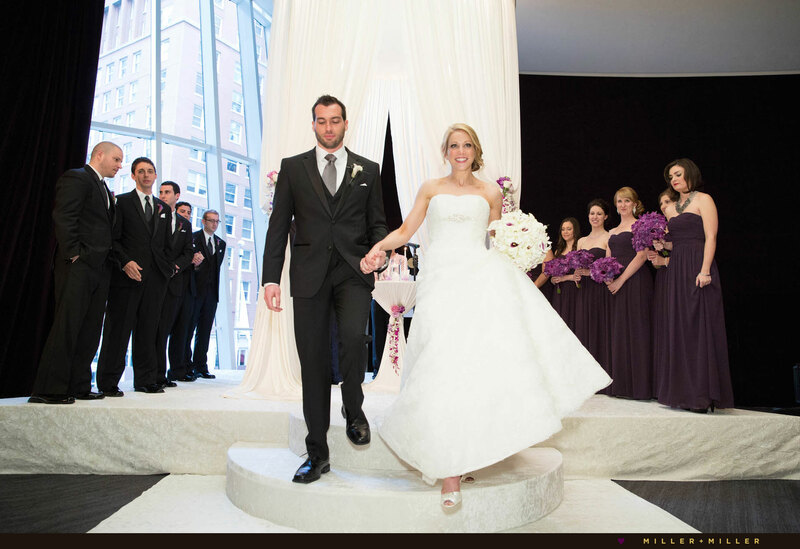 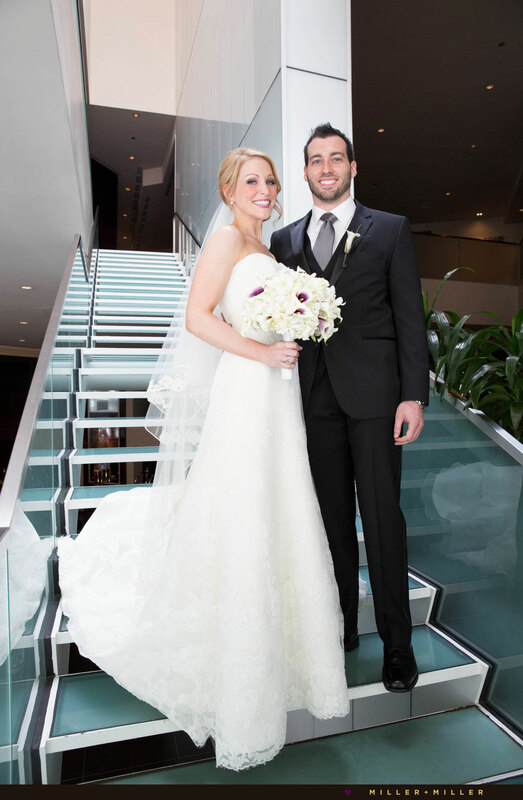 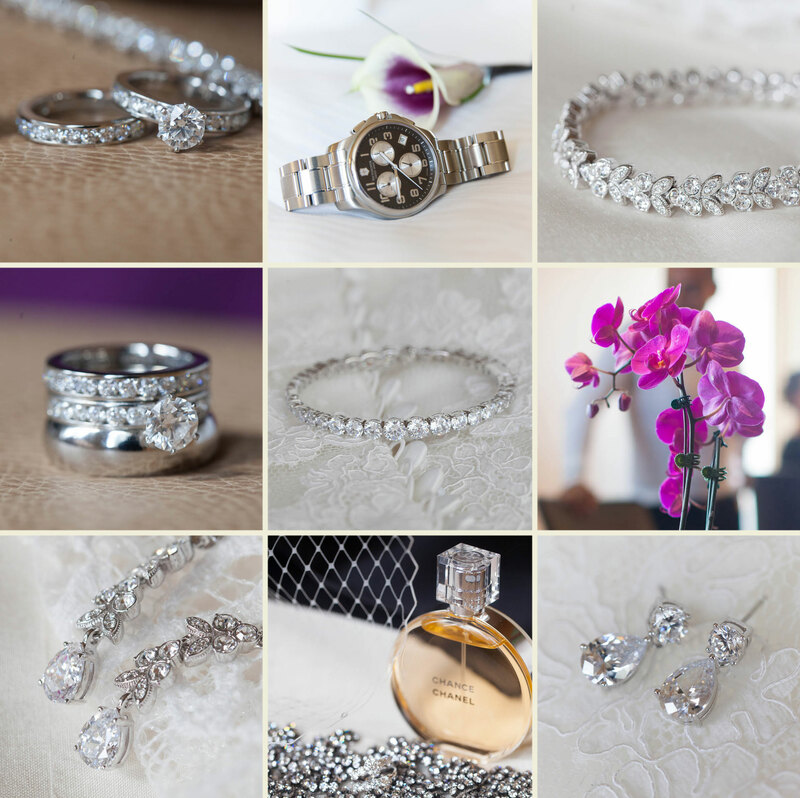 Looking for a Chicago wedding photographer to photograph your Sofitel wedding? 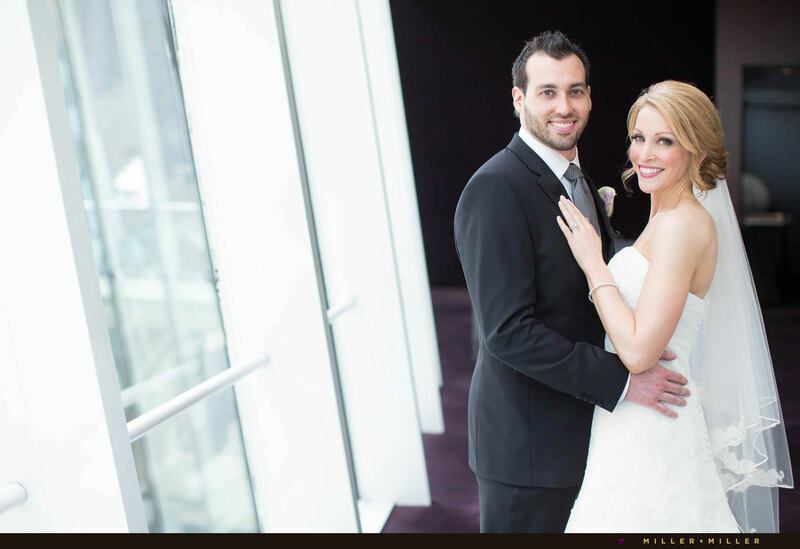 Fill out our contact form contacting Ryan and Sarah Miller of Miller + Miller Wedding Photography to see if your date is available. 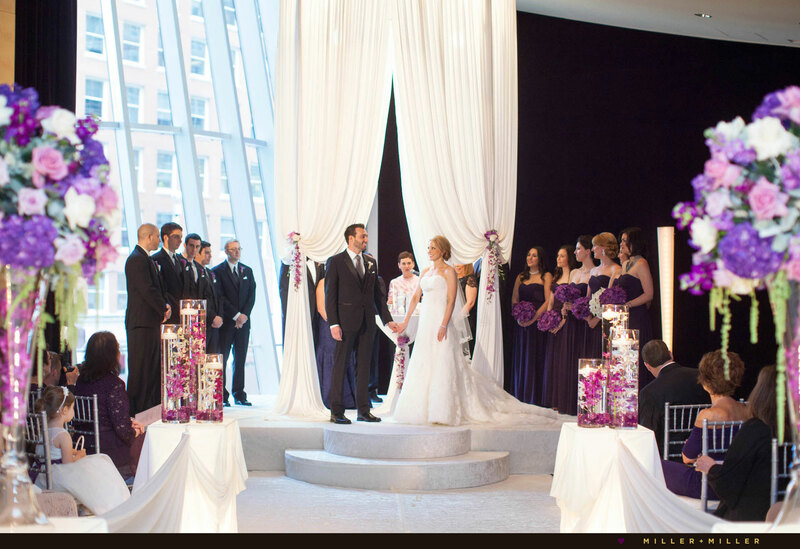 Popular dates can book up in advance.